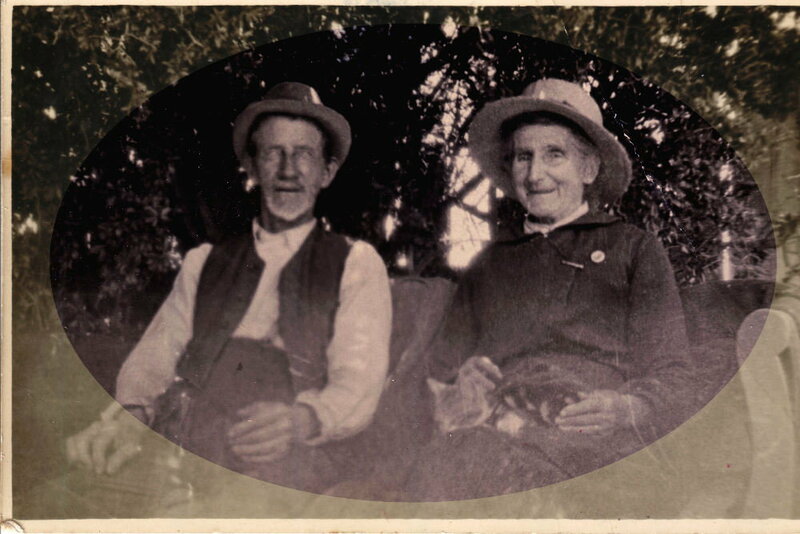 Started as a boot and shoe maker at his father Samuel's shop in Errol Street Melbourne. On 4 Dec 1869 put a notice in the Melbourne Argus stating that he would sell Mr Armstrong's lasts if not claimed in 7 days - presumably a falling out with a fellow boot/shoe maker. 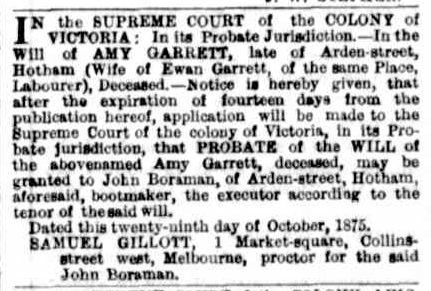 On 30th Oct 1875 applied to the court to have probate of the will of Amy Garrett of Arden Street granted to him as executor. 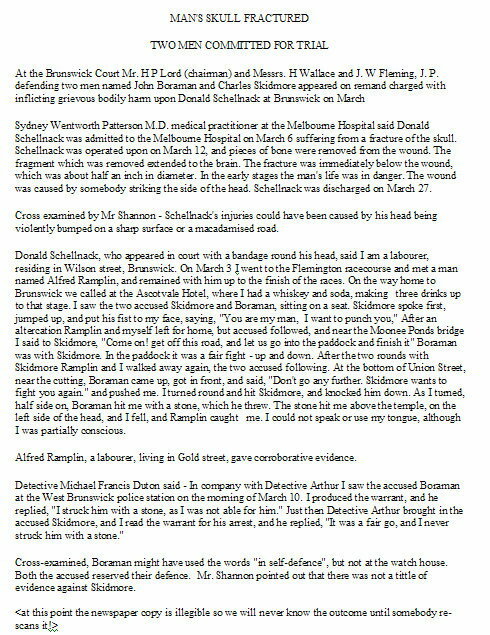 In March 1906 John was committed for trial in Melbourne, together with Charles Skidmore, for hitting a man on the head with a rock and nearly killing him. Judging by other newspaper entries, Charles Skidmore was well known to the police for a string of offences eg stealing, illegal gambling, resisting arrest.